Ensure that the minimum signal connections as shown in the diagram above are connected. 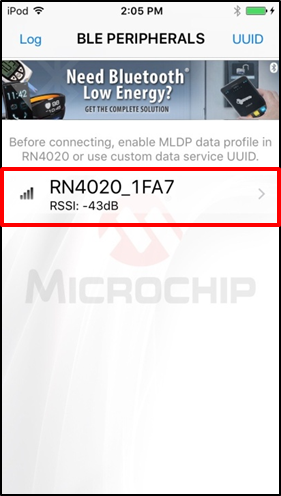 If you are using the RN4020 PICtail, they are already connected. Connect the RN-4020-PICtail to the PC via supplied USB cable (make sure jumper JP1 is in the OFF position). 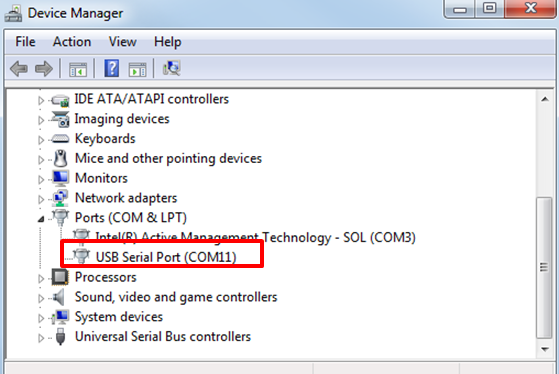 Determine which COM port number has been assigned. 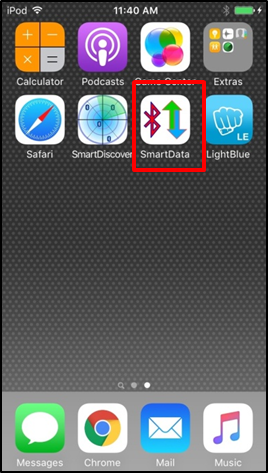 On your iOS device, go to the App Store, search for "Bluetooth Smart Data" and install it. 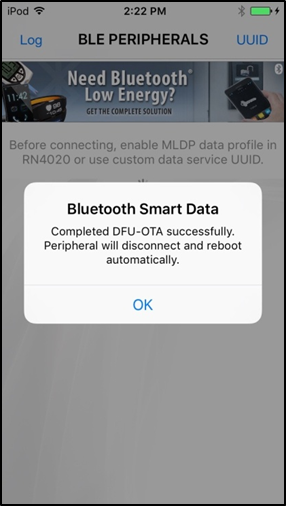 Launch the app and enable your Bluetooth interface (if required). 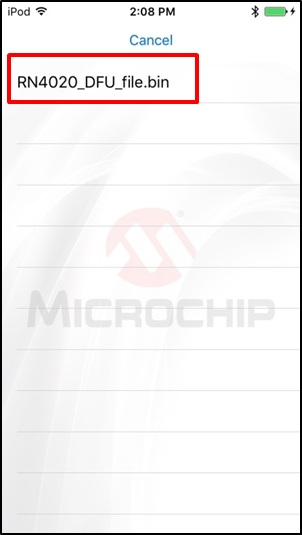 The app will then begin scanning for devices. 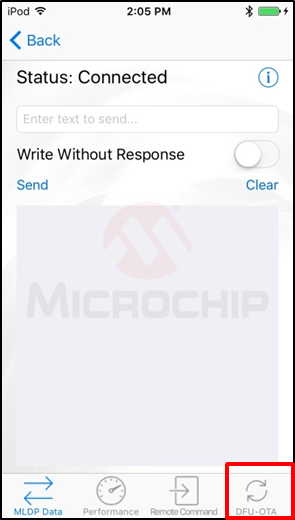 Once finished, select your device from the list shown. 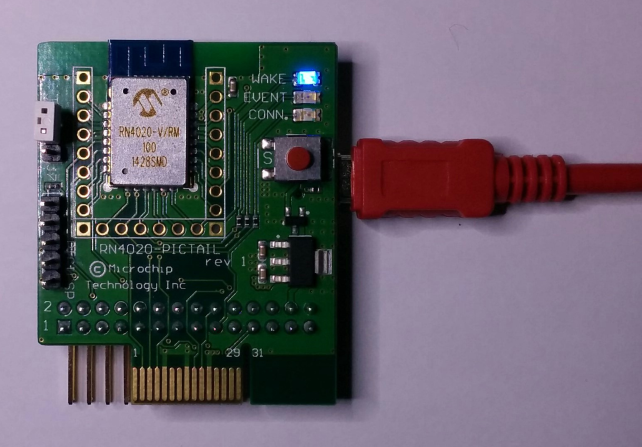 The Module will output "Connected" when a connection is made. Also, the module's PIO1 (CONNECTION) pin will go high (GREEN LED on the PICtail daughter board). 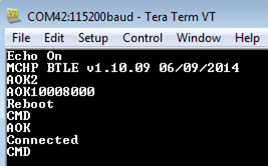 The screen capture below shows BTLE v1.10.09. Depending on which version your RN4020 contains will be shown on the screen. 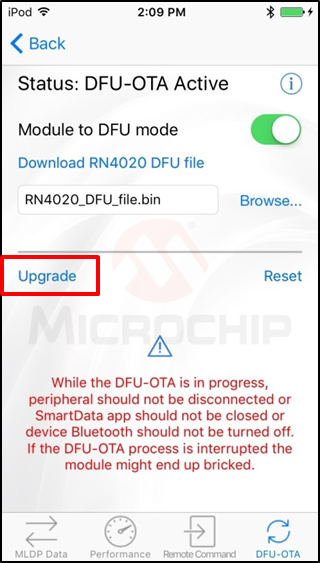 On the Status activity window, select "DFU-OTA" option at the bottom of the screen. 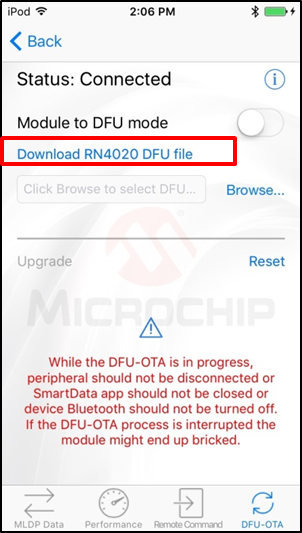 Select "Download RN4020 DFU File" to pull the image from the Apple iTunes store. 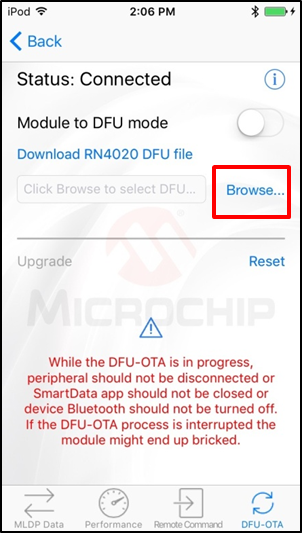 Once the file is downloaded to your device, click the "Browse" button to browse to the DFU file. 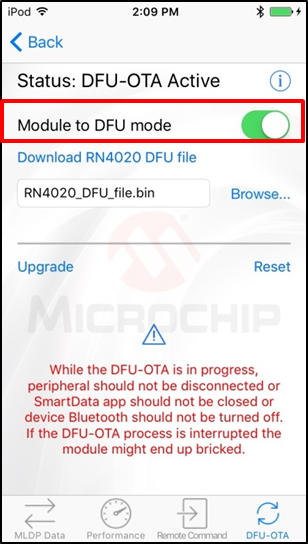 On the Status activity window, move the "Module to DFU Mode" Slider Switch to the ON position. 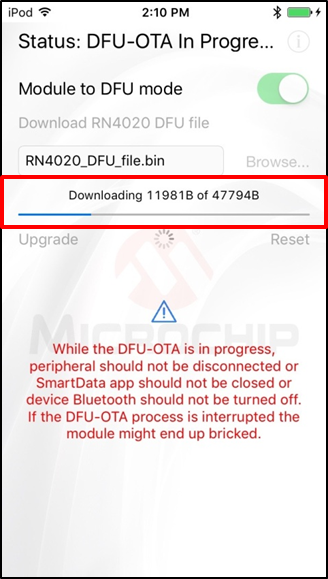 You will see a download status bar displaying status of the download. Upon successful completion, you will see the following dialog on success. Click OK.